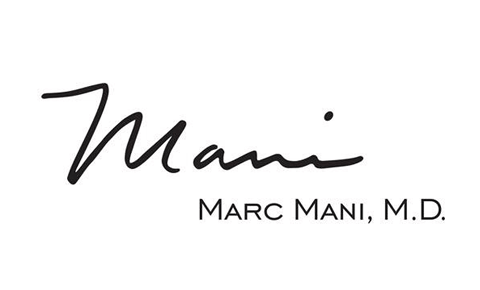 Intense pulsed light (IPL) technology is one of the most versatile options available at Dr. Marc Mani’s Beverly Hills plastic surgery practice. It is a gentle, non-invasive treatment that delivers noticeable, long-lasting results without interrupting your daily routine or causing discomfort. In fact, some of our patients schedule their IPL appointment during their lunch hours and then return to work after treatment as normal. What Does IPL Treatment Improve? In addition to the face, IPL can also be used to treat areas of sun damage on the neck, chest and hands. Dr. Mani and our team will consult with you to determine your IPL needs and draft a proposed plan for treatment. The consultation appointment will include a review of your medical history, a physical examination of your skin and a discussion of your goals and expectations. We will advise the number of treatments, based on the number and severity of the skin conditions being treated, that we feel will help you best achieve your cosmetic goals. IPL treatment is performed on an outpatient basis at our office. Treatment usually takes about 20 minutes and is performed by Dr. Mani or an experienced member of our team. Prior to treatment, you may receive a topical anesthetic if we think you need it. A cold gel is applied to the treatment area, and you will receive protective eyewear. The smooth, glass surface of the IPL handpiece is then placed on the skin, An intense pulse/flash of light will be beamed through the handpiece to the treatment area, transmitting a broad spectrum of light. You may feel a slight warming or stinging sensation, like the snap of a rubber band against your skin. The wavelength range can be altered and optimized for different applications and skin types. The light penetrates the surface of the skin and is absorbed by either the melanin of a pigmented lesion or the blood of a vascular lesion. The injured tissue is then removed by the body’s natural processes and the skin takes on a more even and youthful appearance. On average, we recommend four to six treatment sessions, scheduled at three-week intervals. After treatment, you can return to your regular routine almost immediately. There may be some minor side effects like slight redness, which will disappear within one to two hours. Results typically become noticeable after one or two treatments. IPL can permanently eradicate any hyperpigmentation problems, depending on your personal care habits (e.g., sun exposure, skin care routine). Results of IPL treatment typically last for a year or longer, but we will give you a better estimate based on your individual case. Clinical studies are underway to quantify the effect IPL treatment has on collagen production, which helps firm and tighten the skin. For more information about IPL treatment, or to schedule an appointment, please contact the office of Dr. Marc Mani today. Call (310) 203-0511 or send us an email today.